The lawyers at the Law Firm of Kulerski and Cornelison specialize in helping spouses reach settlement without the costly and stressful burden of a litigious divorce. Going to court is usually completely unnecessary, with most contested divorces settling before they ever make it in front of a judge. There are, however, situations where litigation (fighting in court) is necessary. Maybe your spouse is overly stubborn or outright hateful, and your attempts at a peaceful settlement aren’t getting anywhere. After every other option has been extinguished, if you have to go to court, you want an experienced divorce attorney at your side to help you get what you are entitled to. While the experienced divorce lawyers at the Law Firm of Kulerski and Cornelison prefer to help you settle out of court, they do have over 60 years combined trial experience and they are ready to put that experience to use for you. 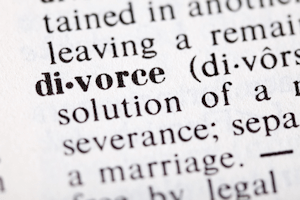 A trial divorce can be a lengthy and stressful experience. A good divorce lawyer will be able to help take part of that burden off your shoulders by thoroughly explaining each step in the process and walking you through each part of obtaining the settlement you need. What happens in a divorce trial? whatever information is needed to proceed with the court process. You also may be required to answer questions and provide documents. Unlike your spouse, you will also have proof of your repeated attempts at civilized mediation. Eventually, after information has been passed back and forth, a negotiation will hopefully be achieved. This negotiated settlement will be signed by both parties. If negotiation is impossible, this is when you and your lawyer may need to take your case to court. There will be more questioning between both of your lawyers and providing documentation and testimony for your case. Your lawyer will fight for every cent worth of compensation, custody, or other settlement that you are entitled to. The judge may eventually have to order compliance between you and your spouse. This last part occurs in less than 10% of divorce litigation cases. The vast majority of divorce cases are settled before they ever go to trial. If you are ready to push your divorce to the next level, call for a consultation with the Illinois Divorce Lawyers at the Law Firm of Kulerski and Cornelison. They can help you make and execute a plan to get you the settlement you are entitled to. Divorce litigation should always be a last resort, but when you have tried everything else, you want the best divorce lawyers on your side.